The tracklisting on back cover is incorrect, tracks #1 & #3 are swapped. 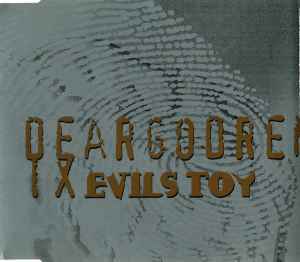 'Dear God' taken from forthcoming album 'Morbid Mind'. Distributed in: Benelux/Rough Trade BV . Brazil/Cri Du Chat . France/Semantic . Sweden/Hot Stuff . Switzerland/Rec Rec . UK/Voltage . Distributed in Germany by Indigo . 1st cat# appears on CD. 2nd cat# appears on flap.